Tall wheatgrass as energy crop for marginal areas has being testes enough to be consider in large scale projects to feed biomass facilities. When we started looking for new energy crops we never imagined that emissions and energy balances had to be so important for sustainability. Producing a lot means often a high load of fertilizers and irrigation. However we want options for marginal lands. Tall wheatgrass (Elytrigia elongata) is one of those options. It is orginal from Eurasia and was introduced to United States, Canada and Argentina many decades ago to produce some fodder and prevent erosion where nothing was grown. It is as very drought tolerant and frost species, with very high pH and salinity tolerance so it was encouraged to investigate it seriously for biofuel and solid biomass production in semiarid temperate areas worldwide. And the beauty of it is that it is a very cheap biomass option. 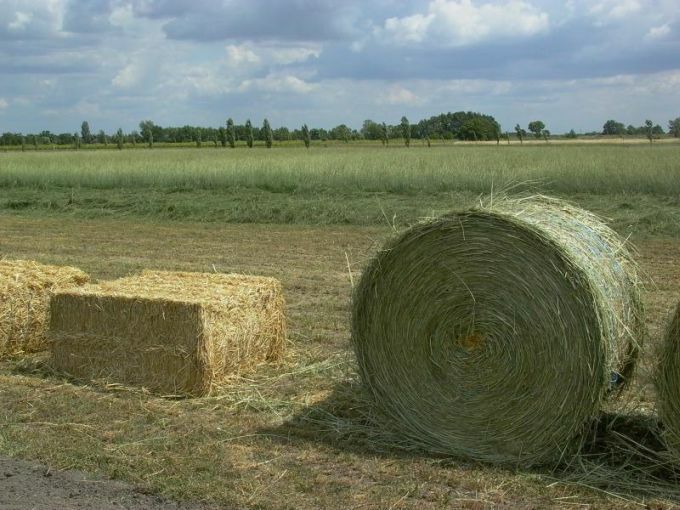 Producing bales with extremely low cost from this perennial hardy grass has been demonstrated with large viability in several countries. Now in several regions the crop has been evaluated as one of the best promises of raw material for combustion,. gasification, electricity and 2nd generation biofuels in marginal areas. It is also produced for anaerobic digestion in Europe. Higher latitudes and semiarid lands in Northern Europe, North Dakota in United States and Argentina have been recorded. In many of those regions, researchers found even better results compared to the well reputed Switchgrass as energy crop for biofuel production with high environmental benefits. Lifetime and stability in production in marginal lands are the key factors making this spectacular grass so profitable. Tall wheatgrass is better prepared for aridity, summer severe droughts as occur in many regions from Ushuaia to Canada or in Southern and Eastern European countries. Our consultants have been involved in sound research regarding this crop as a novel energy grass to provide sustainable, stable and cheap biomass in many marginal regions where many other crops just failed. Advice on harvesting methods to improve bale for heat/electricity and bioethanol processing requirements. Cost reductions from planting to energy uses.